Many people talk about the benefits of education, a high-paying job, better health and lifespan, and a more productive life. In the United States these people are often educated or rich enough to do something about it. Yet most Americans don’t do much. Luis Soriano doesn’t fall into either of these categories. He is a primary school teacher. He earns a typical Colombia teacher’s salary of $350 a month. 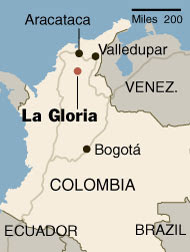 He grew up in a small town in northern Colombia called La Gloria. Because of a rise in guerilla violence in the area, Soriano left as a child to live with his grandmother in Valledupar. 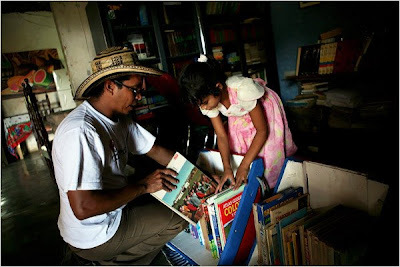 When he returned to La Gloria at age 16, he realized the positive effect reading had on the local children who were poor, and worked as a teacher reading them books. 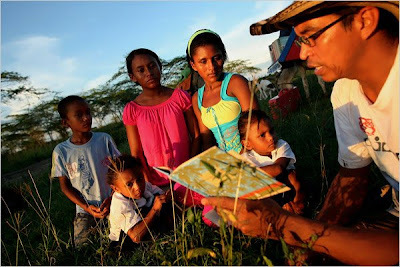 A few years later he began traveling the region with books he read to children before they could borrow them. 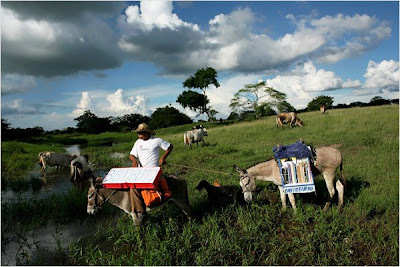 His two donkies, Alfa and Beto, helped him transport these books. It’s not always easy though. In July, he fell off his donkey and broke his leg. Two years ago bandits tried robbing Soriano at a river crossing. When they found he had no money, they tied him to a tree. Though donations have helped him expand his original 70 books to his current collection of more than 4,800, it is a labor of love. He opened a restaurant two years ago just so he could feed his family and make ends meet. 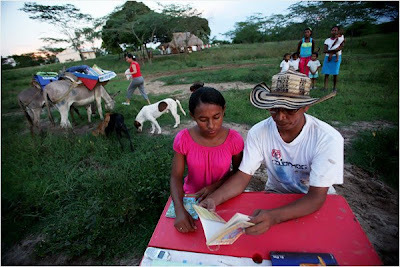 Children in this remote area of Colombia can now have wonderful experiences and new ideas thanks to one man’s Donkey Library. 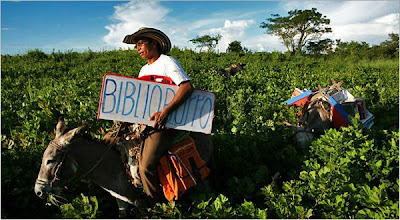 If you would like to donate books or money to Luis Soriano's Biblioburro, you can contact him at: (57)1-311-573-2019 or eldoctosoriano@hotmail.com. Keep in mind that Soriano speaks only a little English. Looking handbag carriers on the net put in at home, protected in addition to effortless. chanel replica sale Retail outlet on the ease of your dwelling and find the goods transported to ones home move. fake chanel Lavie possesses a collection of enjoyable gadgets of which accompany just about every spirits of any person. No matter if you experience innovative or maybe some unattractive, hip or maybe dignified, skilled or maybe carefree, Lavie incorporates a alternative for everyone. fake chanel The item means that you can exhibit ones individuality in addition to fixed your individual movements. Thinking of some sort of woman’s desire for brilliance, Lavie delivers these individuals having a variety of carriers from which to choose. fake chanel That trendy in addition to trendy model provides an comprehensive brand of women’s carriers for any special occasion or maybe spirits. chanel replica sale The merchandise produce this quality connected with creativity in addition to authenticity from the types having new stocks and options hammering this outlets using a continual groundwork.